Glassman, Wyatt, Tuttle & Cox Attorney Ronna Kinsella Named Membership Chair for Defense Research Institute’s Commercial Litigation Committee’s Pretrial Practice & Procedure Special Litigation Group - Glassman, Wyatt, Tuttle, and Cox, P. C.
Glassman, Wyatt, Tuttle & Cox, P.C. attorney Ronna Kinsella was recently selected to serve as Membership Chair for the Commercial Litigation Committee’s Pretrial Practice & Procedure Special Litigation Group of the Defense Research Institute (DRI). The Pretrial Practice & Procedure Special Litigation Group works to benefit all members of the Commercial Litigation Committee. The SLG’s objective is to serve as a resource for all DRI members to obtain updates regarding developments in pretrial practice and procedure, and to provide a forum for the presentation and discussion of pretrial practice and procedure topics including, but not limited to, pretrial case management, electronic discovery, protective orders, spoliation of evidence, and trial tactics. The Defense Research Institute (DRI) is a leading organization of more than 22,000 members comprising defense attorneys, in-house counsel, insurers, and corporations. The Commercial Litigation Committee is the fifth-largest of 29 substantive committees within DRI and one of its most energetic, encompassing everything from business torts to antitrust to class actions and more. For more information on The Defense Research Institute, visit DRI.org. 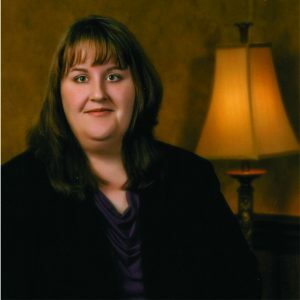 Ronna Kinsella currently enjoys a diverse practice with Glassman, Wyatt, Tuttle & Cox, assisting individual and corporate clients in the areas of trucking defense, business litigation, personal injury, wrongful death, products liability, premises liability, professional malpractice, and appellate work. Kinsella has successfully represented clients at both the trial court and appellate level throughout Arkansas, Mississippi, and Tennessee in both state and federal courts and has been recognized as a “Rising Star” by Mid-South Super Lawyers magazine for the last four straight years. She previously served as the “Publications Vice-Chair” and subsequently as the “Publications Chair” for the Professional Liability subcommittee of the DRI, and has also been selected to serve as the Webcast’s Vice Chair for the Trucking Subcommittee of the DRI for the coming year. Kinsella also recently authored Chapter 8, “Pretrial” in DRI’s new book, The Trial Compendium, published in 2017. The Defense Research Institute (DRI) is a leading organization of defense attorneys, in-house counsel, insurers and corporations comprising over 22,000 members. The Professional Liability Committee is one of 29 substantive committees within DRI and covers all types of professional liability defense, including design professionals, lawyers, accountants, insurance producers, real estate professionals, financial advisors, educators, and other professional service providers. For more information visit: https://www.dri.org/. Glassman, Wyatt, Tuttle & Cox is a boutique law firm engaging in civil trial litigation in courts primarily around the Mid-South, including in Tennessee, Arkansas, Mississippi, Kentucky and Alabama. The firm is renowned for its ability to handle the most difficult legal situations with targeted and steadfast intensity. With more than 40 years’ experience in trying lawsuits and protecting clients, the firm strives to act as a reliable and trustworthy advocate, protecting clients from legal harm or obtaining that to which they are legally entitled as necessary. For more information visit: http://gwtclaw.com/.